Greg Berlanti, writer of The Broken Hearts Club, and Eli Stone is reportedly hard at work on a script for a Green Lantern flick! 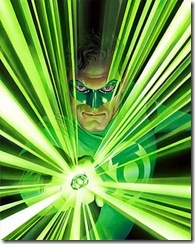 There is no word as to which Lantern we might see in the film, though most people are assuming it with be John Stewart. I cannot think of a writer I would rather do this. Berlanti is a great writer. I expect great things.